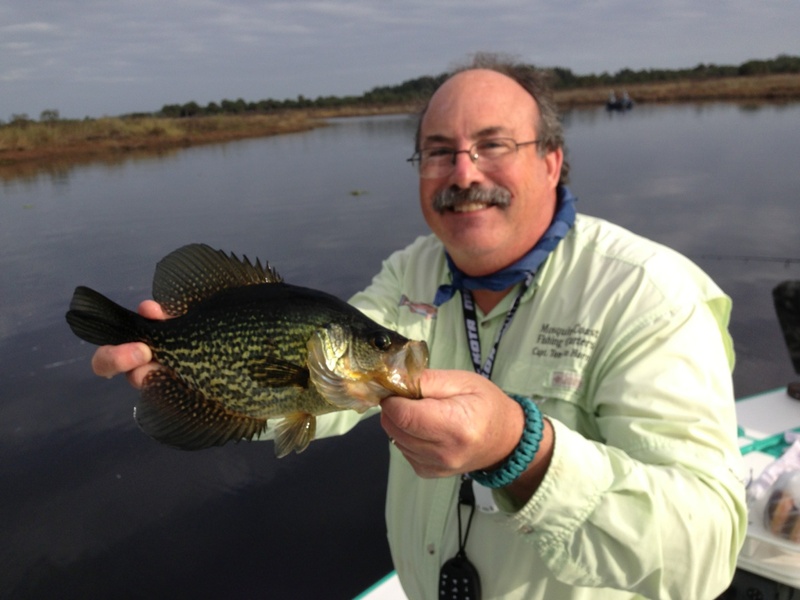 Spring is one of my most cherished seasons to fish in Central Florida notwithstanding the windy weather conditions, and thus far the Spring catching has excellent. 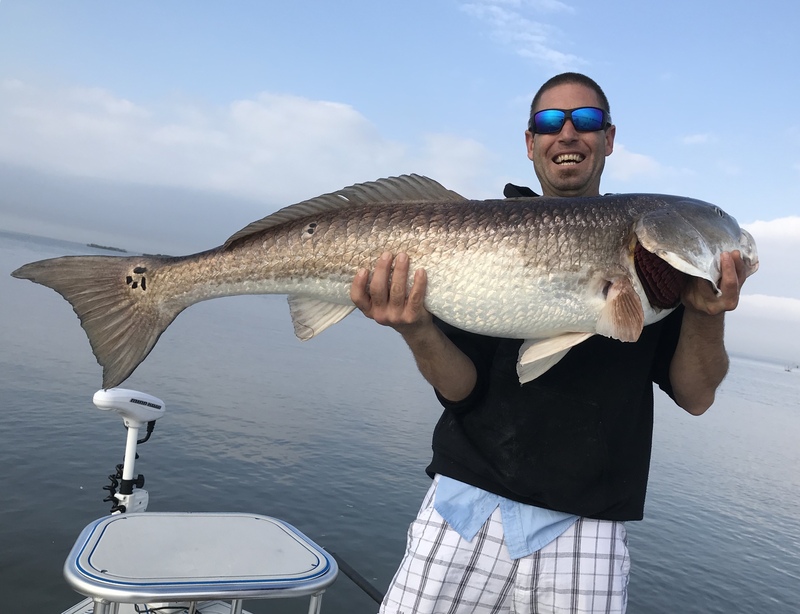 Over the past few weeks, the fishing has been outstanding in both the freshwater and saltwater arenas with great catches on both. 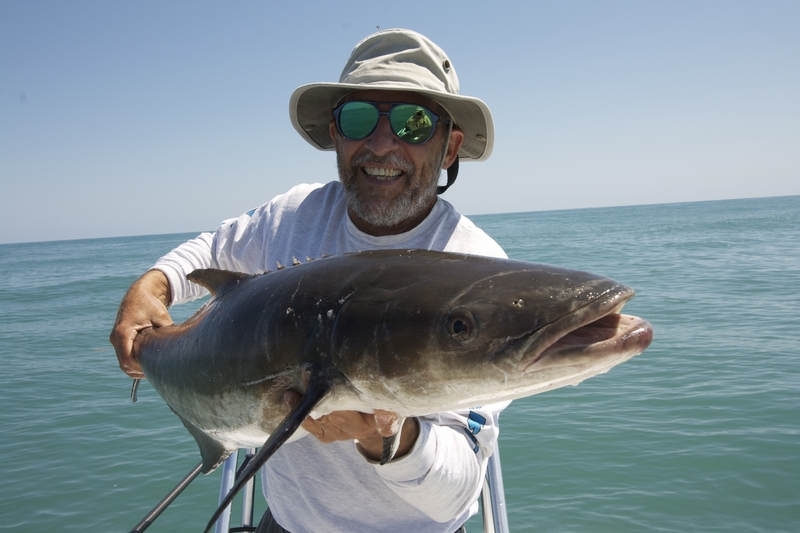 As the days grow longer and the ocean begins its gradual warming phase, (68 to 72-degree range), the spring fishing bonanza on the east central coast of Florida kicks in. Thus far we’ve experienced a warmer then normal winter and as of this correspondence (February 24, 2019) the water temperature at the Canaveral Nearshore Buoy Station 41113 is 68.7 degrees. As usual, weather will serve as the determining factor in establishing the magnitude and progression of the bite and the predator species we love to catch. 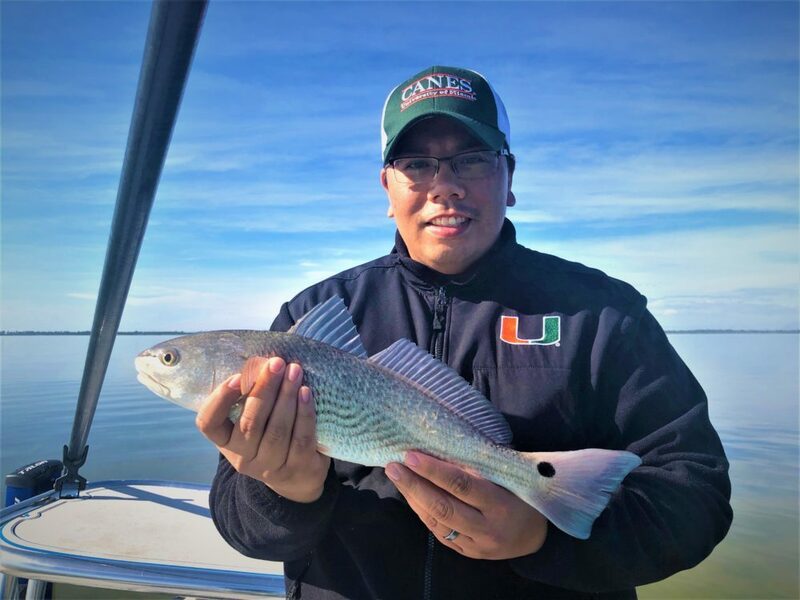 My fishing adventures thus far in February have covered a wide spectrum of opportunities from freshwater American shad and crappie fishing to targeting redfish, black drum and sea trout on the Mosquito Lagoon. 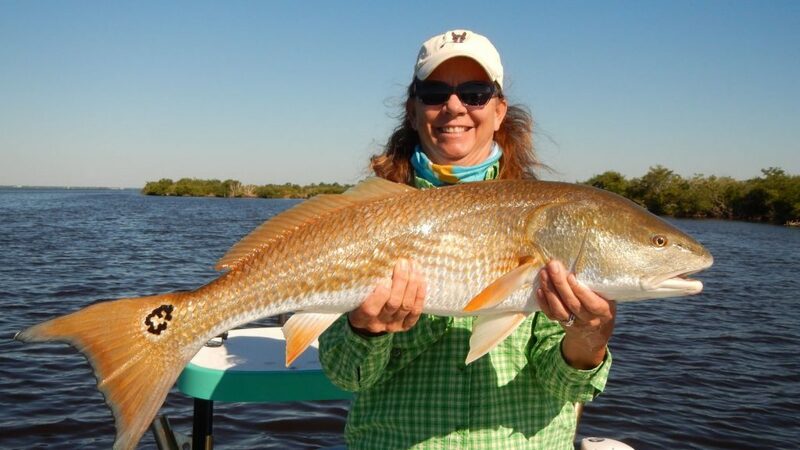 As always when fishing in Central Florida in February, weather fronts can make catching challenging with windy and cloudy conditions. It’s a cold post-frontal January morning in east Central Florida. While launching my skiff in predawn darkness I can barely see the end my trailer as a heavy fog bank has settled in. Luckily, I know this part of the Saint Johns River like the back of my hand, so finding my intended fishing spot in zero visibility goes according to plan. Heavy fog of this nature is uncommon on the Saint John River basin, requiring a precise mixture of warm river water, cold winter air and dead calm conditions to occur. 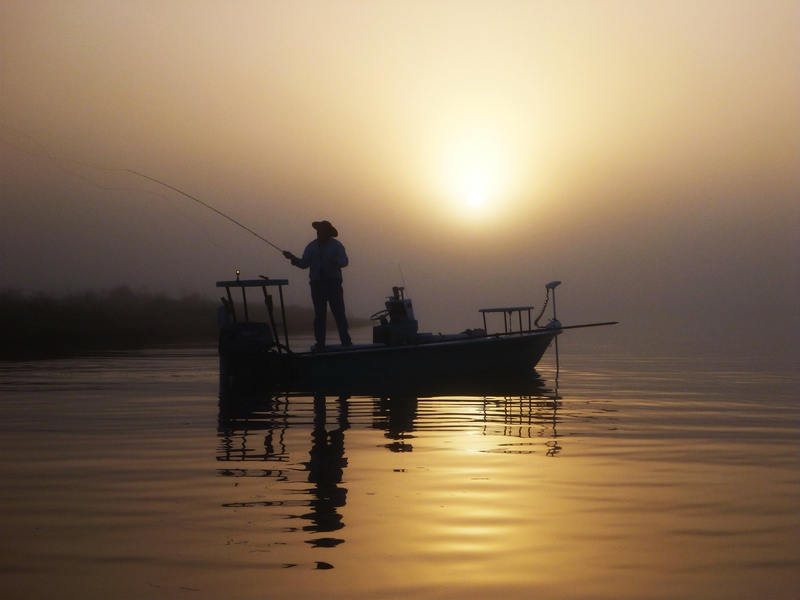 Idling slowly through the impenetrable fog to position my skiff, and I can hardly bare the anticipation of my first cast and the impending solid pull of an American shad on my 5-weight fly rod. As I lay out my first cast and my fly settles in a shad takes and the battle is on. On the first hard run this hearty fish takes me into my backing, jumps sever times and starts doing laps around my boat. As the battle wains and my excitement peaks, my mind drifts back some 50 years to my very first shad fishing trip with my Uncle Joe. As winters go here in Central Florida, we certainly can’t complain about the weather we’ve experienced thus far. 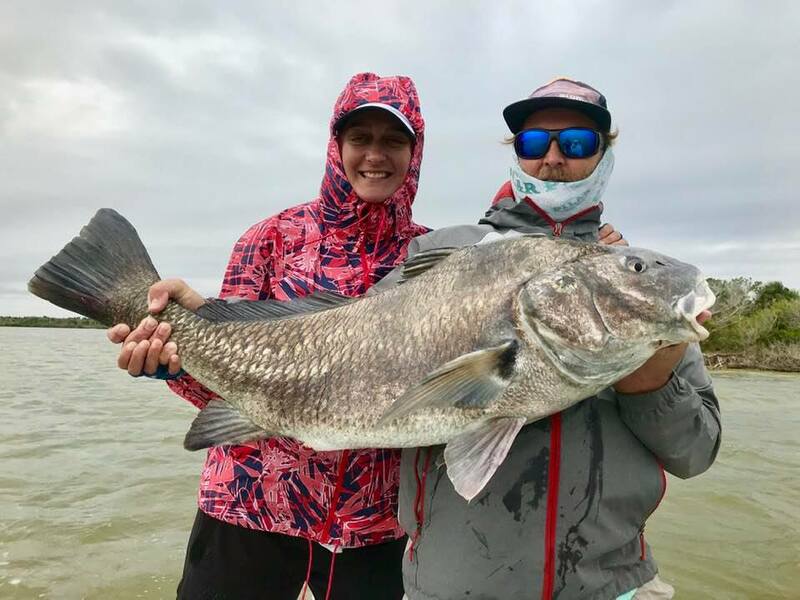 Other than some rain and extreme winds we experienced this week, gorgeous fishing conditions have prevailed, and we’ve had some first-rate catching as well. 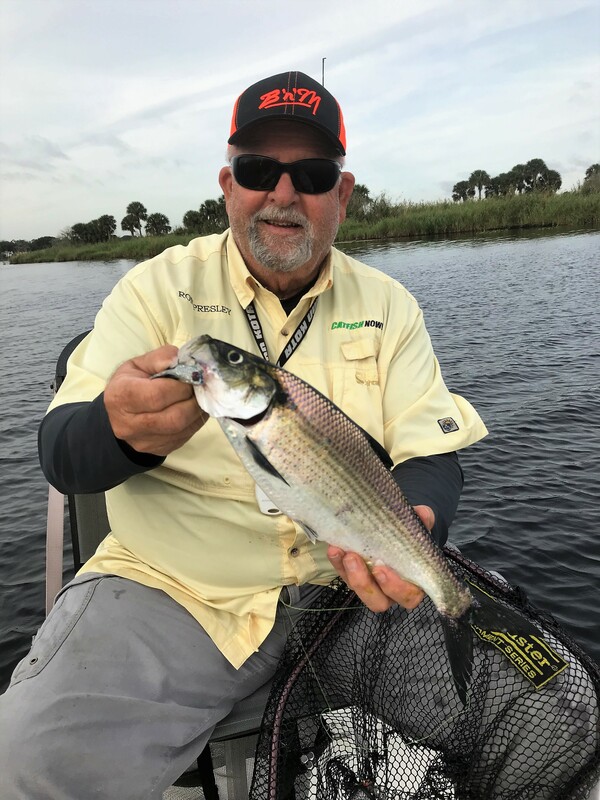 Captain Ron’s first American shad of the 2019 season. All my fishing opportunities over the last few weeks have led me to the St Johns River in pursuit of American shad and crappie. With this said, this report will reflect on these experiences and hopefully provide information and content to assist you, and get you out on the River. As we welcome the New Year, it is once again time to reflect on the events and accomplishments of 2018, and to count our many blessings. 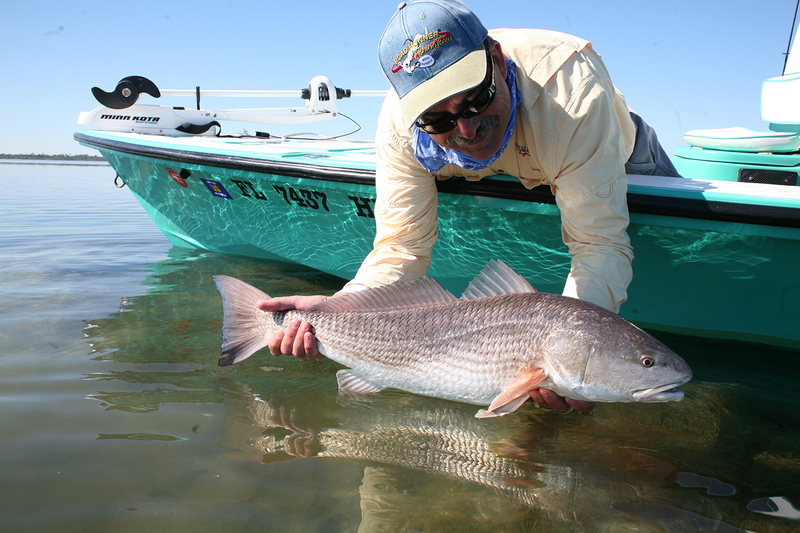 We are truly blessed to live in Central Florida where angling and spending time on the water are year-round endeavors. 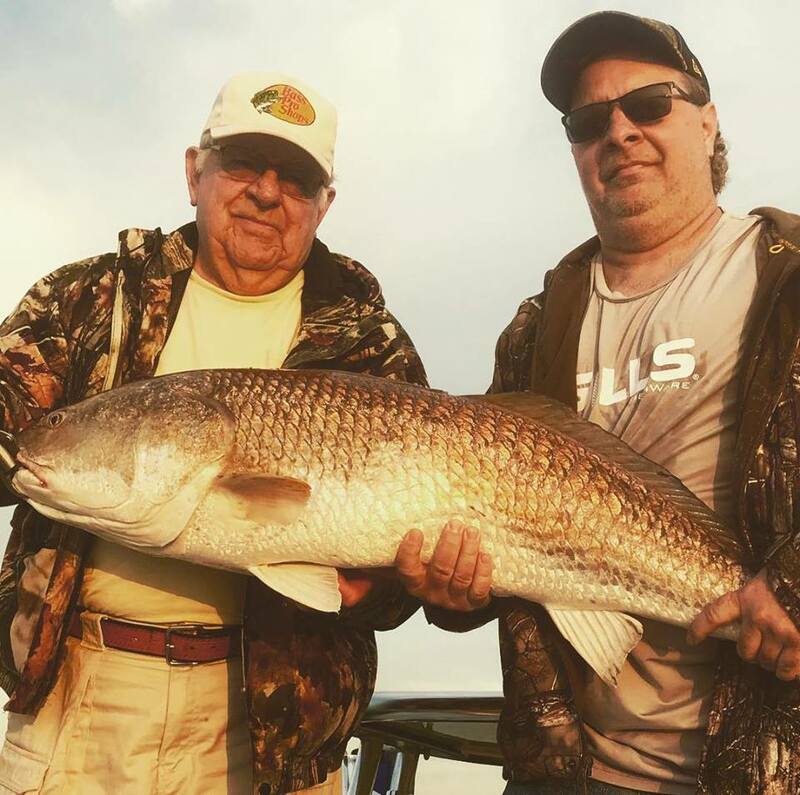 I am also thankful for another great year of fishing with my clients and friends on the waters of the Indian River Lagoon estuary and our Central Florida lakes and rivers. Thank you all for a year filled with adventure on the water, and many great memories. With the sound of heavy rain beating on my metal roof, I decided to stay dry and warm today and update everyone on my status. As many of you already know, on October 22nd I experienced a fall at home while working on an improvement project. The accident resulted in an eleven day stay in the trauma center and over two months recovery at home. They say if the doesn’t kill you it will only make you stronger, well in my case the Lord had other plans for me and I survived to fish another day. For starters, let me begin with an apology for not posting many reports in October and November. It’s not because I haven’t wanted to fish. It’s because I couldn’t. You see on October 22nd I had an accident at home while working on my house. Although I only fell eight feet off of a ladder, I sustained critical injuries resulting in an eleven day stay in a trauma center. Result was seven broken ribs and three fractured vertebra. I’m currently on the mend, but it’s is looking like I will continue to be landlocked until just before Christmas. These are challenging times for me, but the good news is I survived to fish on another day.